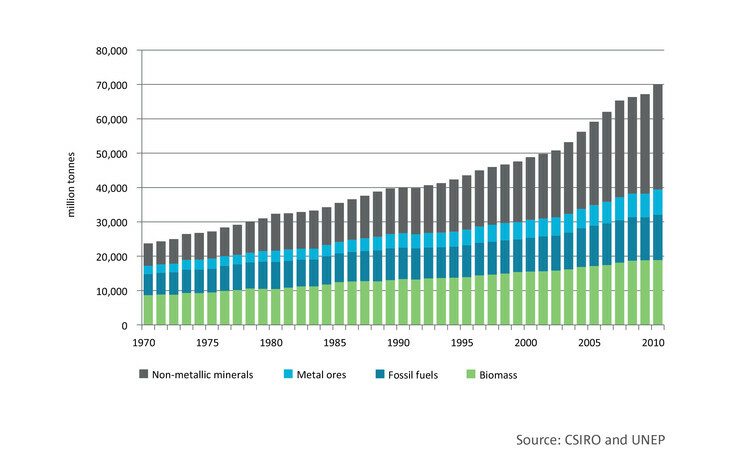 The world’s use of finite resources continues to rise as global development continues. Can we help poorer nations raise their standard of living without exhausting all of our raw materials? 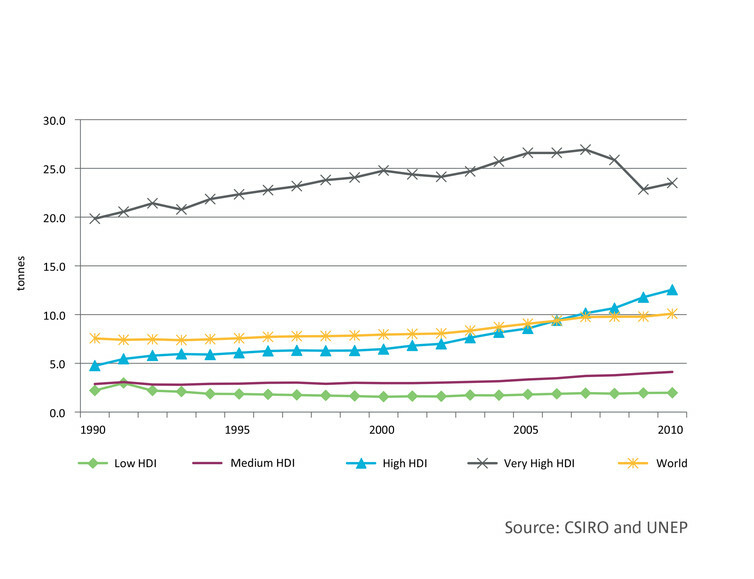 The ‘material footprint’ (in tonnes of raw material per capita) of nations at different levels of the Human Development Index (HDI). Image: Author provided. There is no level of human well-being at which the demand for primary materials will level off – unless we make some fundamental changes to our economy. Lower-income countries will doubtless require more primary materials than they currently use, if they are to reach the same level of development as today’s wealthy countries. Expanding global demand for materials may contribute to local conflicts like those seen in areas where mining competes with agriculture and urban development. But the more we can curb the world’s resource growth, the more room there will be for people’s standards of living to grow too without surpassing planetary limits. Heinz Schandl is senior science leader, CSIRO. This article was originally published on The Conversation.